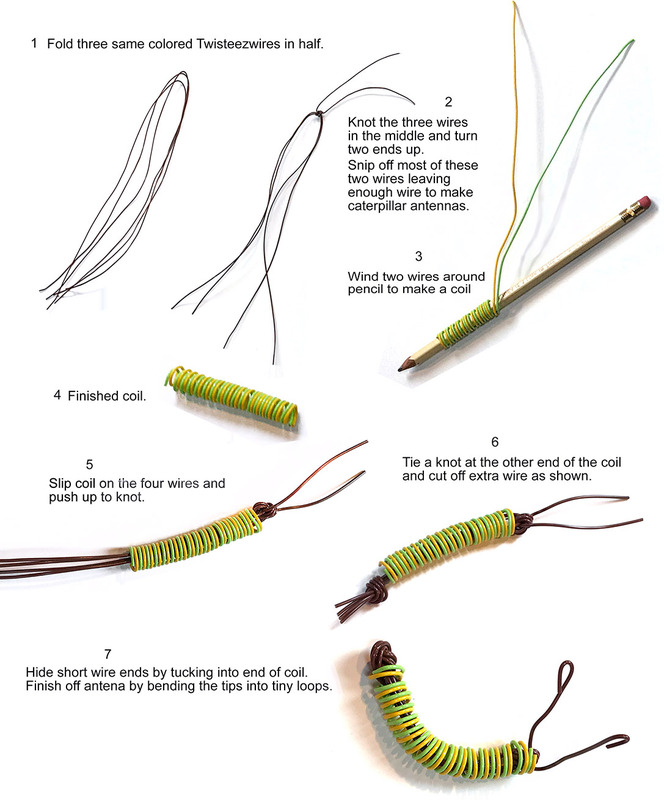 Have fun making colorful wire caterpillars using just Twisteezwire. Hook them together or just pose them. 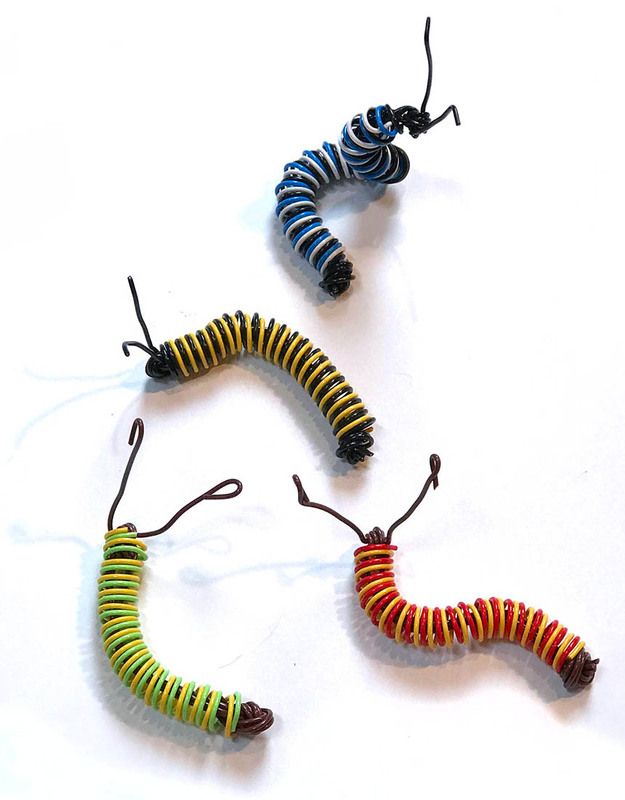 Place caterpillars where you can enjoy their bright colors.